There are all sorts of fun things to do in Gatlinburg, TN all throughout the year from free things to do to paid attractions and excursions. Whether you’re planning your first Gatlinburg vacation or your 50th, you are bound to find plenty of activities and fun attractions in this guide as we reveal some of the best things to do in Gatlinburg Tennessee! The Track is a sprawling multi level family fun race track with arcade games, mini golf & bumper cars! Check out the link below for the best deals! Buy tickets online now and SAVE $10 when you spend $50+! Enter code GO-KARTFUN8. Offer available only. Ripley’s Aquarium is the most visited attractions in Gatlinburg and has been rated the best aquarium in the United States by TripAdvisor. The popular Gatlinburg aquarium features numerous exhibits including Tropical Rainforest, Ocean Realm, Systems Controls, Coral Reef, Shark Lagoon, Discovery Center, the Gallery of the Seas, Stingray Bay, Touch a Ray Bay and the Penguin Playhouse. They have a massive underwater tunnel with a 340ft long gliding path to view sharks, stingrays, a sea turtle and all sort of other sea life! It’s the perfect attraction for people of all ages. Ober Gatlinburg offers fun things to do year-round with skiing, snowboarding, and tubing in the winter and all sort of activities the rest of the year including a fun alpine slide, amusement rides, arcade, ice skating, and more! There are two ways to get to Ober Gatlinburg, which is located on top of a mountain. You can either drive a winding road to the top or you can take the Aerial Tramway, which leads us to our next fun thing do to in Gatlinburg! The Gatlinburg Aerial Tramway is located on the south end of the parkway in Gatlinburg just before you get to Ski Mountain Rd. The tram is a fun and scenic way to get to Ober Gatlinburg as it provides a panoramic view of the Great Smoky Mountains during a 10 minute, 2.1 mile ride up the mountain. The tram runs every 20 minutes and is one of America’s largest aerial tramways holding up to 120 passengers. If the massive aerial tramway is a bit too big for your tastes, consider riding one of the scenic chairlifts in Gatlinburg. These chairlifts typically hold 2 people in each “chair” that transports riders to the top of a mountain for an incredible view. One of the most popular chair lifts is the Gatlinburg Sky Lift located on the parkway in downtown Gatlinburg. Another popular chairlift is located at Ober Gatlinburg that can take you to one of the highest points in Smokies! Whitewater rafting in the Smoky Mountains is another one of the most fun things to do in Gatlinburg. There are a handful of white water rafting companies in the area that provide a great time for individuals, families, church groups, corporate retreats and more. Our guide below reveals how to get the best discounts on whitewater rafting trips so be sure to check it out if you want to shoot the rapids! Hillbilly Golf has become a “tradition” for many people over the years as one of the things they make sure to do when they visit Gatlinburg. It’s a mini golf or “putt putt” course located on the side of a hill that you ride an incline lift 300ft up to hole #1 and then play your way down. Along the way, you’ll see moonshine stills, outhouses, covered wagons, and other parts of mountain folk life! It’s the most unique mini golf experience you’ll likely find anywhere. Hillbilly Golf is located on the north end of town closest to Pigeon Forge. Hiking in the Great Smoky Mountains has been a popular thing to do for…well…as long as the mountains and people have been around! Gatlinburg has some fantastic trails in the area of various lengths, difficulty, views, etc. Below, you can find a link to the National Park Service’s website with a list of maps including trail maps, park maps, campground maps, and more to help you find the perfect trails and plan your hike! Gatlinburg has a handful of fantastic waterfalls with some being easy to get to and others requiring a bit of a hike. Below you will find a few of the most popular waterfalls in Gatlinburg, TN along with links to find out more about them, view photos, get directions, etc. If you plan on taking children to any of these waterfalls, make sure you see how long the hike is and what is involved (crossing streams and such) to be fully prepared. Place of a Thousand Drips – This is a pretty unique “set” of waterfalls just a short drive from downtown Gatlinburg. To see it and other waterfalls near Gatlinburg, click on the following link – http://www.nps.gov/grsm/planyourvisit/waterfalls.htm. Even though there are some great restaurants in Gatlinburg, one of the best things to do is pack a picnic and head to one of the picnic areas in Gatlinburg, TN. Some of the most popular are the Chimneys and Greenbrier. There are picnic tables beside mountain streams where you can wade, swim, rock hop, find salamanders, etc. This is an extremely popular thing to do among couples and families to just get out in the Smoky Mountains and enjoy nature…and it’s free! Below are a couple of links where you can find more about the best picnic areas including directions to each. If you want the best views of the Smoky Mountains, then be sure to drive up to Newfound Gap or Clingman’s Dome. Both offer incredible views and is something everyone should see at least once when they visit Gatlinburg or the Smoky Mountains. Make sure your camera is charged up and ready to take lots of pics! Gatlinburg and the surrounding Smoky Mountains offers some of the best fishing streams in the nation. The natural surroundings, the clear waters, the native trout, and everything else just makes fishing in the Smokies a unique experience. Fishing can be done as close as downtown or you can choose to hike for miles out to a secluded area. There are over 2,000 miles of streams in the Great Smoky Mountains, so finding a place to fish is never a problem! There are some regulations as to when fishing s allowed, what types of bait can be used, etc, so be sure to visit the link below for the official info from the National Park Service. The Gatlinburg craft route has numerous shops where artists, craftsman, etc make and sell their handmade goods including pottery, quilts, artwork, furniture, etc. If you plan to purchase anything during your visit to Gatlinburg, make sure you swing through the craft route to find unique, one-of-a-kind items that you literally cannot find anywhere else. These also make excellent gifts for birthdays, holidays, etc! Throughout the year there are numerous events that take place in Gatlinburg with most of them being completely free such as parades, fireworks, etc. Be sure to check out our Gatlinburg calendar of events to see what all will be happening during the year to find some fun things to do in Gatlinburg! Yes, we know that Pigeon Forge isn’t exactly a fun thing to do in Gatlinburg, but it’s the next town over and offers all sorts of great attractions and activities including Dollywood, Splash Country, Dixie Stampede, and more! 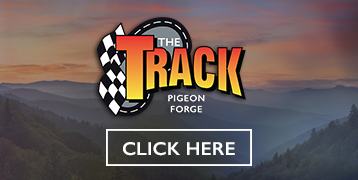 Be sure to check out our sister site Pigeon Forge TN Guide to discover all of the fun things to do in Pigeon Forge! If you know of other fun things to do in Gatlinburg, Tennessee that you feel should be added to the list, then please share it with others in the comments section below! 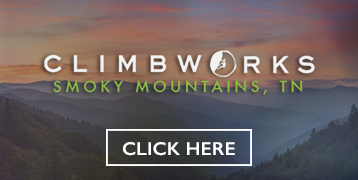 Also, if you enjoyed this guide and found it helpful be sure to like, share, pin, tweet, or +1 it to others to let everyone know all the fun things to do in Gatlinburg TN!